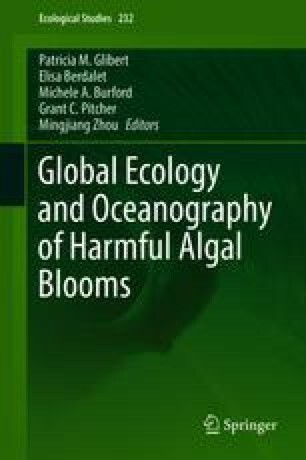 Harmful algal blooms (HABs), contributing to both fisheries effects due to high-biomass algal blooms and shellfish or fish poisoning due to toxic algae, have long been reported in coastal waters of the Asian region, especially in East and Southeast Asia. HAB-related issues have continuously been of both social and economic concern. Although there have been continuous efforts to investigate various aspects of harmful algae, new records of fish mass mortality due to species previously undetected at particular sites have continued to occur over the last decade. These cases suggest recent expansion or introduction of HAB species in the Asian region. In this chapter, progress in HAB research and recent issues regarding harmful algae are summarized together with descriptions of newly documented HAB species from Asia, to improve our understanding for future research and management of harmful algae in the Asian region. We thank Wilson Mendoza, Takuo Omura, and Kazuya Takahashi for providing their original photos. This study was financially supported by a Grant-in-Aid of MEXT, Japan (24121001).